The NHS Health Check programme is estimated to prevent around 300 premature deaths and results in more people living free of cardiovascular disease in England each year, according to a new study published this week in PLOS Medicine led by researchers at the University of Cambridge, UK. Feasible changes in the delivery of the programme could result in up to a three-fold increase in the benefits. The NHS Health Check programme was introduced in 2009 in England and offers structured vascular risk assessments for adults aged 40-74 years without preexisting diabetes or cardiovascular disease. Adults identified at higher risk of disease are offered appropriate treatment, either medication or behavioural (e.g. weight loss programmes or smoking cessation services). In the new study, researchers developed a model to simulate the population of England aged 40 years and over using data from the Health Survey for England and the English Longitudinal Study of Aging. They used recent performance data from the Health Check programme and published data on the uptake and effectiveness of the treatments offered, to estimate the benefits of the current programme compared to a healthcare system without Health Checks. The researchers estimate that for every million people aged 40-45 years, the NHS Health Check programme could prevent 390 (95% CI 290-500) premature deaths before age 80 and result in an additional 1370 (95% CI 1100-1690) people being free of ischemic heart disease, stroke, dementia and lung cancer at age 80. These numbers correspond to 300 fewer premature deaths and 1000 more people living free of these diseases in England each year. The benefits are estimated to be greatest for people living in the most deprived areas of England suggesting the programme is reducing health inequalities. The study also suggested that there is significant scope to increase the benefits by making feasible changes to the programme. 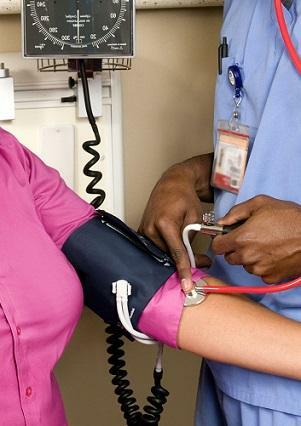 A 'maximum potential' strategy that combines extending eligibility to those with pre-existing hypertension, extending the upper age of eligibility to 79 years, increasing uptake of health checks by 30%, and increasing treatment rates amongst eligible patients 2.5-fold could result in a 3-fold increase in benefits compared to the current programme. While the findings are encouraging, the authors acknowledge that the future benefits will be less if the incidence of stroke and heart disease continue to decline as they have been for the past thirty years. They also note that some important non-cardiovascular benefits (e.g. chronic obstructive pulmonary disease prevention from smoking cessation, and cancer prevention from weight loss) and other parts of the programme (e.g. brief interventions to reduce harmful alcohol consumption) were not included in the model. The authors say: "Our work suggests that the current NHS Health Check Programme is contributing to improvements in population health and reducing health inequalities, and importantly it is adding life to years rather than just adding years to life." The work was commissioned and funded by Public Health England. The work was undertaken by the Centre for Diet and Activity Research (CEDAR), a UK Clinical Research Collaboration (UKCRC) Public Health Research Centre of Excellence. Funding from the British Heart Foundation (ES/G007462/1), Cancer Research UK (ES/G007462/1), Economic and Social Research Council (ES/G007462/1), Medical Research Council (ES/G007462/1), the National Institute for Health Research (ES/G007462/1), and the Wellcome Trust (087636/Z/08/Z), under the auspices of the UK Clinical Research Collaboration, is gratefully acknowledged. Core MRC Epidemiology Unit (MC_UU_12015) and MRC Biostatistics Unit (U105260566) support is also acknowledged. OTM was funded by a Wellcome Trust fellowship (WT103394) and a National Institute for Health Research Academic Clinical Lectureship. CL receives a stipend as a specialty consulting editor for PLOS Medicine and serves on the journal's editorial board. NW is a member of the Expert Scientific and Clinical Advisor Panel (ESCAP) for the NHS Health Check Programme and was an editor for a (single) special edition of PLOS Medicine focusing on diabetes. AG received grants and nonfinancial support from Public Health England during the conduct of the study. OTM has an honorary contract with Public Health England (East of England) for the purposes of undertaking health protection on-call duties. Development of the model, as well as analysis, presentation and interpretation of the findings, was independent of the funders. The views expressed in this publication are those of the authors and do not necessarily represent those of Public Health England, the Department of Health, or institutions that fund or support the authors. No funding bodies had any role in study design, data collection and analysis, decision to publish, or preparation of the manuscript.